If I purchased a 2019 at the beginning of the new model year and 3 or 4 months later, my new car was replaced with a newer model, I'd feel cheated. Mercedes is certainly hoping people don't do their due diligence and read about the upcoming future models. They don't want people [like us] holding off purchasing a car in anticipation of a completely redesigned model. As it is, your shiny new car is current for one model year. The next model year and your car is outdated. But if you bought a 2019 to find just a few short months later it was redesigned as an all new model, you didn't even get a full year of newness. Of course this is how I would feel and doesn't necessarily have to be how anyone else feels. If having the latest is important to a person, and they are "in to" cars at all, they will likely know there is a new model coming and hold off buying if possible, or go with a competitor's new model. I think the average Mercedes buyer is less concerned with this, and will see and drive a few cars and get what they like. Then there are those that lease and are kind of locked into a schedule. It is incumbent on the buyer of this large a purchase to do their homework. If one were to feel cheated it's largely their own fault, IMO. The new I6 engines are already on the road in Europe and will be in the CLS this fall. I seriously doubt that the engines had anything to do with the extra model year on the GLE. The engines were done a while ago and are already in production. I disagree, but we may never know. Designing a new SUV around a totally new powertrain is much different than just slapping basically the same old V6 and V8 in. And who knows where in the W167 development cycle the M256 came in. If the car had already been started around the V6 there certainly would be a time penalty. And accommodating the more robust battery & electrical systems, along with electrically powered AC and water pump is further adaptation. Something caused the schedule to slip at least half a year from the history of this model and in respect to the competitors' timetable (e.g. new X5). I doubt this was intentional. Last edited by GregW / Oregon; 05-24-2018 at 08:03 PM. No need to debate feeling cheated or not. I said it was how I would feel. Other's may feel completely different. They may care. They may not care at all. I'm sorry man but I don't see it or get it. A model year and bodystyle change can happen anytime. There is no rule about this. Sales people may not want you to hold off but corporate really doesn't care once the new model is shown. Why would you care if you got a year or 6 months of newness on already 7-8 year old design? You'd have to know it's going to be replaced at any moment. Last edited by Germancar1; 05-24-2018 at 10:54 PM. You do understand that the I6 you're talking about is already in production and running in the S-Class and CLS in Europe already? You're viewing is if the new GLE was designed already around the V6 when the I6 has been known about for years. The CLS is brand new also, no delay there. The S-Class is old and had to be adapted to fit the I6, no delay there. Euro S500 has the new I6. There is absolutely nothing to support that the I6 was the hold up with the new GLE. You're right it was something, but there is nothing that says its the engine, which is already in production. Mind you the CLS was being redesigned around the same time as the GLE and it has the new I6. 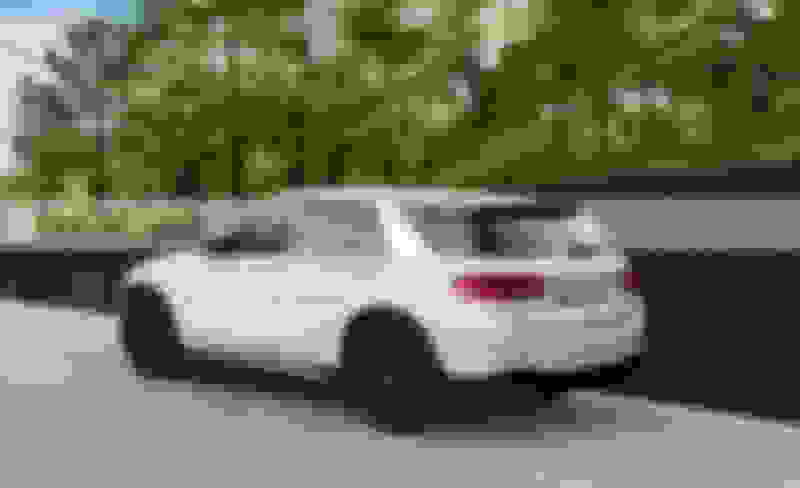 The E-Class also get the I6 this fall in the E53 so why would older cars like the S and E be able to get the new engine with no problem, but the brand new GLE which surely started development after the I6, have a problem getting this engine? Doesn't make any sense. Mercedes stated a while back that every new Benz from the GLC onward was designed for the I6. Last edited by Germancar1; 05-24-2018 at 11:00 PM. I agree. IMO competition may have. An all new 2019 Porsche Cayenne will be in US dealerships in a few months plus surprisingly an all new 2019 BMW X5 before the end of the year. The current X5 chassis is only 5 years old so that's a very short run for a German platform. Mercedes, BMW, Audi etc. seldom release new platforms in the same model year. I wan't debating feeling cheated, just about the new engines not having an impact. Sorry Greg. I must have quoted the wrong person. I was at my dealer this afternoon and spoke with the Sales Manager. He told me what others have been saying about when the new GLE will arrive in the US. He said it will not be a 2019 as the 2019 will be a short time gap until the new GLE is ready. He also said it will be sold as a 2020, not a 2019. He was told it will be as others have heard, available in the late 1st Q or early 2nd Q in 2019. What was interesting is he said his General Manager was in Atlanta a couple weeks ago at MBUSA headquarters and they not only had a 2020 GLE there, but he was able to drive it. He said it was simply amazing in every way. Since I had not ever driven a GLE, I test drove a 2018. We have a GLC300 but wanted to know how the GLE feels in comparison. It's unmistakable MB, but doesn't have the upscale modern feel we get with the interior of the GLC. I'm sure the 2020 GLE will correct that and then some. Last edited by rbrylaw; 05-25-2018 at 08:58 PM. I've gotten a current-model GLE as a loaner a couple of times when my GLC was in for service (scheduled or recall)...and I get that very same impression that it lacks a more modern feel, BUT I get impressed by the extra roominess and especially the turn radius! I was kind of spoiled in my 2010 then 2013 C300s that they can do tight turns at low speeds (u-turns on narrow roads---no problem!) and the GLC just isn't like that. So I was surprised that the currrent GLE can take turns like the smaller C Class. My MY16 GLC is coming out of lease this December; I've been watching for when GLC gets its refresh (in which case I"d ignore the turn radius thing that bothers me a little), but I've also been watching for the new GLE hoping that it marries the best of all worlds. But a 2020 model will be a bit late for me, this time....ah, the choices! Of course I recognize that this is not a bad problem at all to have. I too would just order a 2019 GLC this year as we really like the size of it. But sadly, the 2019 is not getting a refresh for MY 2019. The C class is getting a very nice refresh with the addition of an E Class like screen and CarPlay as standard as well as a bump in Horsepower to 255 and all new LED lights as standard. I also like the additional space inside the GLE and I expect the new one to be even nicer. 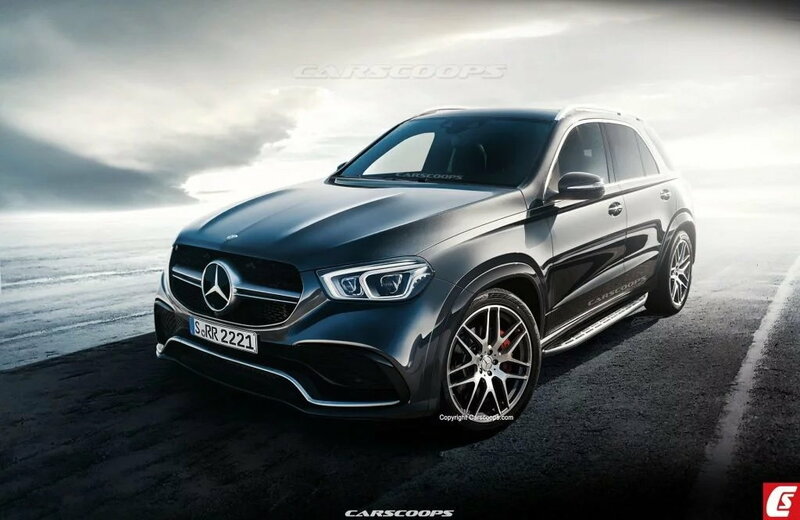 it will not be a 2019 as the 2019 will be a short time gap until the new GLE is ready. He also said it will be sold as a 2020, not a 2019. He was told it will be as others have heard, available in the late 1st Q or early 2nd Q in 2019. . The vehicle you are referring to that will be sold as a 2020, not a 2019 and that it will be available in the late 1Q/2Q is the W167 Chassis, am I correct? not the OP, but that is correct. W167 our early next year by informal reports, but of course no official confirmation yet. I don't think we will ever know. They should have had the new GLE on sale for the 2019 model year and the GLS for the 2020 model year, late fall for the GLE and early spring for the GLS. They're going to be playing catch up with BMW depending on when the X5 and X7 actually hit dealerships. 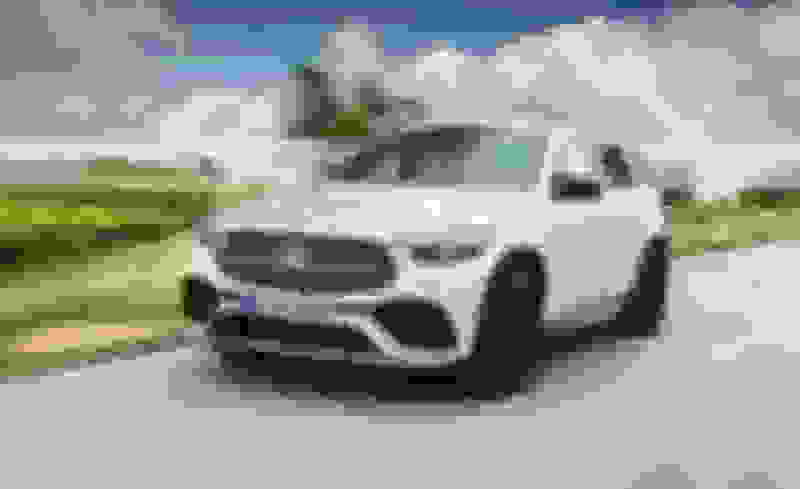 "Mercedes-Benz will offer the new GLE-class with its new inline-six engine, which means that a GLE450 model should be the mainstream offering in the U.S., paralleling the inline-six–powered CLS450." However, recently MBUSA says the 2019 E450 will have an upgraded twin-turbo V6 and not the I6. Kinda odd that some 450 models will have different engines? "The 2019 Mercedes-Benz E 450 and E 450 4MATIC models will be equipped with an upgraded 3.0-liter V6 biturbo engine that generates an additional 33 hp (now 362 hp vs. previous 329 hp) and 15 lb-ft of torque (now 369 lb-ft vs. previous 354 lb-ft) than its predecessor." The C&D article was written before M-B announced the 2019 would be a W166 carryover with of course a carryover engine. The article is about what is now the 2020 W167, which of course will get the new power train. No confusion at this point, unlike a couple months ago. For whatever reason though, I'm pretty sure the GLC is not made in America. The GLE and GLS are made in America. Since the GLC is likely a high production model, I wonder why it's not made here. Curious what anyone's thoughts are on the reports today of Trumps condemnation of German cars being sold in America and his pledge to take them off the American highways. I'm sure the rhetoric is designed to appeal to his base, but honestly, does he not see how many jobs exist in the US because of Mercedes, BMW, Audi, VW and Porsche? Not to mention that Mercedes builds close to a million vehicles in the US. Audi and Porsche however, do not build cars in the US. You are correct that the GLC is not made here, though the C-Class is. Europe has a higher demand for small vehicles than the US is all I can think. Trump says and does a lot of things that are not well thought through, IMHO. We are soon to be in trade wars with the World and many US businesses will be hurt. Isolationism does not work today, again IMO. No, isolationism is a recipe for financial disaster on world wide basis. And yes, he says whatever pops into his head, whether it makes sense or not. On the national news tonight, they interviewed a soy bean farmer in the Midwest. The trade war will have a dramatically negative impact on him. And still he supports the man he voted for. I don't understand supporting someone who can take your livelihood away from you.